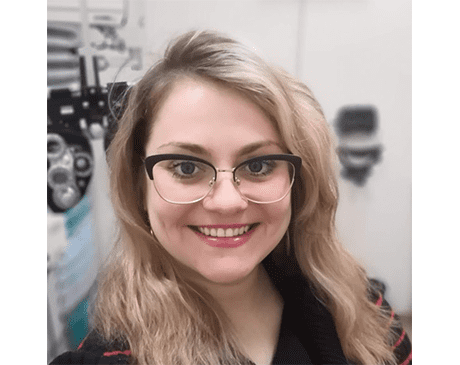 Dr. Mariya Skreydel is a pediatric and primary care optometrist from the Bronx, who is passionate about ensuring that each of her patients see and feel their best. She earned her Doctor of Optometry and Master of Vision Science degrees from the SUNY College of Optometry. She then went on to complete specialized residency training in vision therapy, with an emphasis on pediatric vision development, through the Dr. Irwin B. Suchoff Residency in Vision Therapy and Rehabilitation at the SUNY College of Optometry. Owing to her residency training and her graduate work, Dr. Skreydel is skilled at treating a number of complex vision disorders such as amblyopia (lazy eye), reading-related vision difficulties, double vision, and visual consequences of stroke or brain injury. During her graduate studies, she was a recipient of National Institute of Heath’s T35 Educational Training Grant for her research in binocular vision. She also has experience in managing a wide range of complex eye conditions, including glaucoma, macular degeneration, dry eye, diabetic retinopathy, and ocular inflammation. Dr. Skreydel believes that compassion and communication are invaluable aspects of patient care. She is fluent in Russian and Spanish, and is welcoming patients at the South Bronx and Washington Heights locations of VistaSite Eye Care. Outside the exam room, Dr. Skreydel enjoys composing and playing music, learning new languages, and painting. She is part of a musical group comprised of eye care professionals, who perform at annual fundraising events aimed at supporting organizations such as New Eyes for the Needy, and Volunteer Optometric Services to Humanity.